$5 shipping a box but will combine just message me. 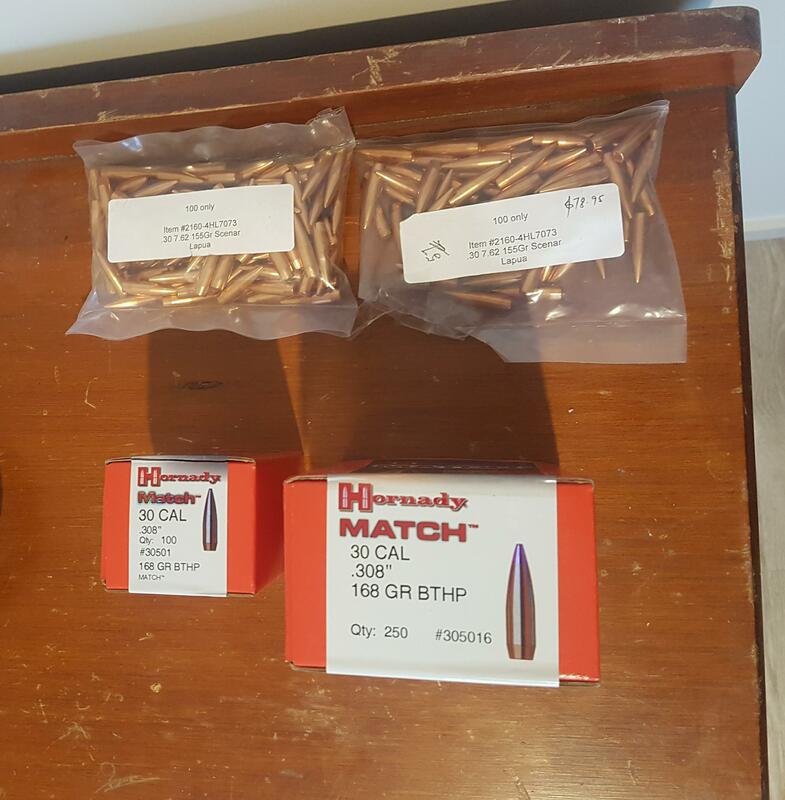 Looking for .30 hornady 150gr SP or SST, 6.5mm 120gr A-max or 143gr ELD X projectiles if you have any to swap or sell. I’m keen on the 168 grainers, I’ve got 6.5 143 eld x to swap, pm me if keen. Cheers.